Going through bankruptcy is never an easy process and having a compassionate and patient advisor can make all the difference. Part of my job is helping my clients understand exactly what approach we're taking and why we're doing so when working towards the best possible outcome in each case. As an advisor for debtors, creditors, official committees, trustees and other parties in interest, Amber Carson represents clients in all facets of bankruptcy, creditors’ rights and federal bankruptcy-related litigation matters. She has guided clients in many different industries, including healthcare, retail, construction, oil and gas, restaurant and manufacturing to successful outcomes in many courts in Texas and across the country. 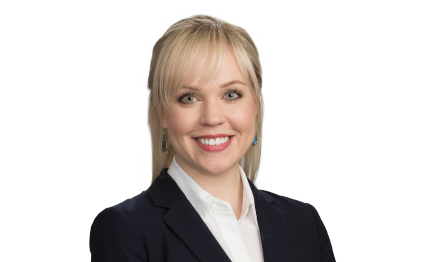 The core of Amber's expertise in bankruptcy law stems from her judicial clerkship with the Honorable Harlin D. Hale, U.S. Bankruptcy Judge for the Northern District of Texas, after law school. Her time viewing hundreds of hearings and gaining a perspective of how judges consider the matters before them gave Amber a unique advantage when solving problems for her clients. Maintaining a relationship with Judge Hale, Amber is often a guest lecturer for Hale's creditor's rights class at Southern Methodist University Dedman School of Law.